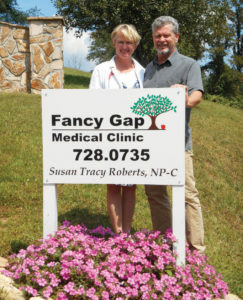 Nurse Practitioner Susan Tracy Roberts and husband/practice manager Ben Roberts welcome you to Fancy Gap Medical Clinic. Susan can offer you and your family quality, affordable health care. 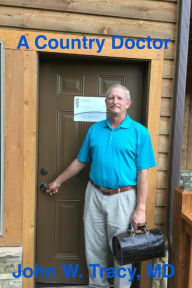 We can usually accommodate call ahead/same-day appointments during and after business hours and on weekends. We have moved to our NEW LOCATION. 7438 FANCY GAP HIGHWAY in “downtown “ Fancy Gap. Our new location is between the Fancy Gap Post Office and Dollar General.